Hey there fellows! Yes it is me, UK Wesley, back with another post. I was really thinking hard about what I wanted to write for you gents this time and I couldn’t think of anything for a while. I was on Holiday last week, the wife and I went down to Bahamas to get some sunshine in our skin. Well, the bloody airline lost my bag. The only bag I checked and I really hate checking bags. Unfortunately, the airlines don’t allow you to bring liquids on the planes with you so I had to back all my shaving and skin care products. So now I got no shaving cream, razors, moisturizers or anything of that sort. Long story short, they didn’t have everything I needed available at the resort so I had to share what my wife had packed. It was bloody miserable, I was smelling like a bird the whole vacation. At least, that got me thinking about what to write about. Something really important I feel like we need to talk about is men’s face care products. Right out of the gate, the best tip I can give you is to buy natural products. The chemicals that ends up in a lot of what is selling now will do long term damage to your hair, skin and god only knows what else. 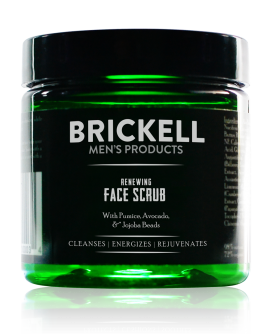 A facial scrub will be great for opening up your pores and clearing dead skin cells of your face. These are rough and tough, they remove blackheads and stop whiteheads from forming. After your done with the exfoliation you will want to put on some moisturizer to re-hydrate your skin and let it absorb moisture and get it a little softer. While it is a little harder to come by, they do make these specifically for men. If you are in a pinch can’t find a men’s product, just grab and unscented one. You can get them in all organic, do that and you will thank me later. This one is really important. Does your beard ever itch? Treat it like the hair on your head. Wash your beard with shampoo and than conditioner. Next, dry your beard and rub in the oil. This will keep it from getting dry and itchy. If you don’t own them already you will want to pick up a few of these things. q-tips, nose strips, tweezers , a nose trimmer. 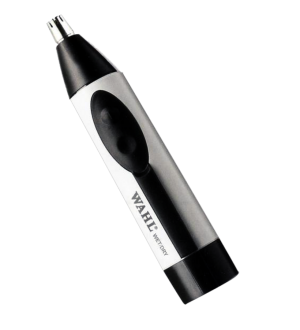 The nose trimmer is key, make sure you keep those wild nose hairs to a low. Nothing is worse than screwing up your look with a couple of stray hairs coming out of your nose. Hope you gents enjoyed this one. Leave me a comment, check out more advice at the bottom and otherwise thanks for reading. Cheers! Remember to wear some sort of sunscreen when you’re outside. Feeling nothing is an excellent thing in regards to moisturizer, especially around the eyes. Furthermore, cleansers are normally mild and lock in moisture. You also need a skin cleanser that permits your skin to remain moist. 1 great skin care scrub that’s mainly employed for exfoliation. Serums are by and large supposed to be applied before moisturizers since they essentially increase the effect of those. This serum will help lessen puffiness and dark circles–and you’ll probably observe a difference in your very first application. So as to cope, your skin will begin to create lines and wrinkles and of course unsightly cracks. It will feel soft and soothed. Skin but in addition the estheticians show about this item very assume. After all, your face is continually bombarded by sunlight and it’s the one most responsible quality of your overall look. Everybody’s face and skin chemistry differs. On a normal basis, you may also give your skin a deep cleansing treatment to eliminate the toxins. It’s important to see the sort of skin which you have. Since skin is the human body’s biggest organ, it’s absolutely required to eat well. Diet regime Men’s dry skin may be due to insufficient fluids in the diet regime. There’s undoubtedly a difference. There’s a little difference between the skin kinds of women and men, but methods of acne control are almost the exact same. It’s the term used these times in the majority of beauty products on the market. The item is also backed by means of a guarantee. Plus, these solutions are mass produced, and perhaps somewhat less healthy or as effective since a few of the more boutique solutions. It’s said the products contain Korean ginseng extract and don’t have any irritating influence on the epidermis and are created from natural ingredients. It was among the few goods on the industry that had Vitamin C in the proper consistency and dosage. Vitamin is a great addition to any men’s face care products. If you prefer to stay youthful and attractive for as long as possible, it’s critical to set up excellent skincare routines. Facial care doesn’t need to be complicated. It’s difficult not to observe that face care exists. 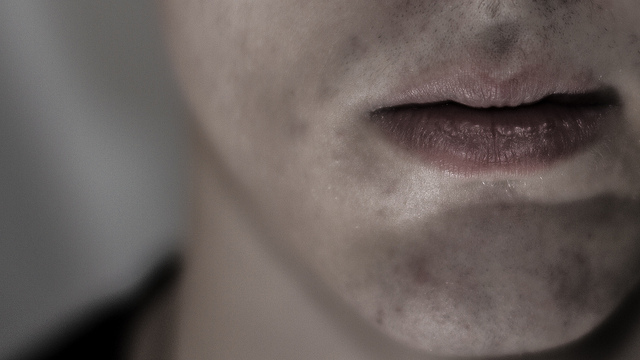 The significant part men’s face care is to discover what works. We’ve come to see this isn’t virtually looking good, its primarily about health. Don’t forget, to receive the BEST results you are going to want to try out BOTH products together. With this product you’re likely to receive three things. Very good men’s facial care products are not easy to come by. The scrubbing tool he uses are available on Amazon. In an effort to help you see what you’re searching for, here’s a quick guide to the fundamentals of men’s face care solutions. Should you be seeking information on facial care for men, you’ve arrive at the appropriate place. Beneath this brand, there are a lot of sub-brands like Okryu.” Subsequently, fine lines form. As soon as it’s super expensive, you’ll discover that just a touch of this cream goes quite a ways, and therefore you don’t require a lot. A little goes quite a way here. With a cotton pad to wipe throughout the face, you’ll realize the excess stuff that arrives off it’s surprising, especially since you simply washed it. I want to know which ones you want! Many guys realize that enjoying a cup of relaxing tea together with a mask can help to lessen strain and anxiety. In addition, it is appropriate for guys with sensitive skin. What’s more, men have a tendency to go for basic, zero frills labeling and products which are multi-purpose, like a soap that may be used for hair, face and body. By using the ideas mentioned previously ought to be able to look your best for a long time to come. Consequently, a couple weeks ago this easy solution was shared! It must be done at least two times every day, by utilizing a mild but excellent face wash. The best thing about it’s it doesn’t take a great deal of time, and can be carried out in the contentment of of your house and men’s face care products. According to different sources, the response is NO! You may look younger and much healthier. In addition, it is good to stay in mind that wearing the ideal moisturizer for your buck daily is but one leg of a bigger skin care regimen. For this reason, it’s far better to start now. It is a very good concept to utilize for your body generally. Amazing Beard Moisturizer For Men! What Is Dry Skin Under Beard?